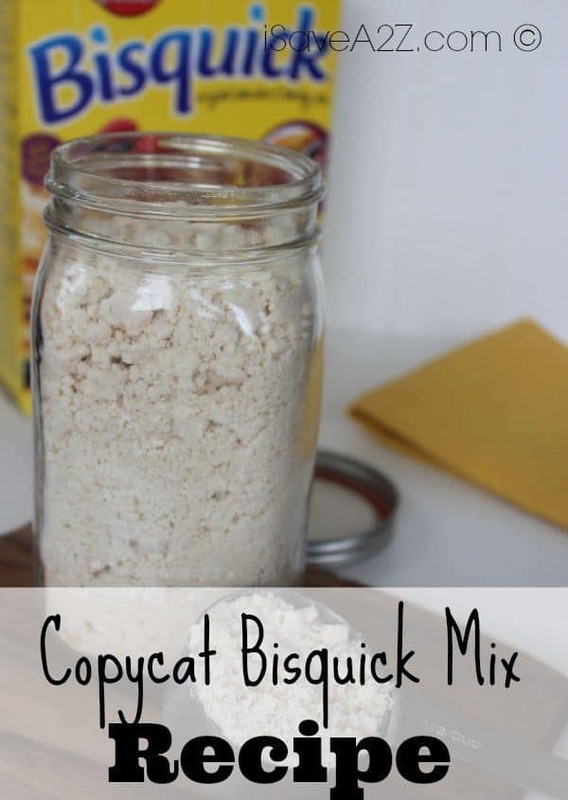 Check out this neat and amazing recipe for a Copycat Bisquick Mix! If you absolutely love the taste of Bisquik’s pancakes, but you don’t want to have to deal with going back to the store to buy yourself some more, than this recipe will be perfect for you! 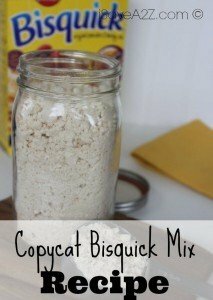 This super simple recipe below will take you through the steps you need to take to create this amazing Copycat Bisquick Mix! With this recipe, you won’t be able to tell the difference between your very own pancakes, and the pancakes made with the original Bisquick mix! How great is that? When it comes to pancakes, I know I’d prefer Bisquik over any other generic brand! If you like this recipe, then you might want to check out some others! You can’t be disappointed when it comes to the most important meal of the day, breakfast! Check out our Best Hash Browns, our Best Strawberry Crepes, our Strawberry Cheesecake Muffins, our Big Red Pancakes, our Crockpot Breakfast Casserole Recipe, and plenty more! If none of these piqued your interests, then check out the rest of our breakfast recipes here! If you’re looking for some other great breakfast recipes, then look no further! Check out this neat cookbook that has 101 different recipes that are perfect for your morning meal! Your breakfast is in fact the most important meal of the day, so why not treat it as so? Make your breakfast special and unique with these recipes! Cut in the shortening with a pastry blender until the mixture resembles fine crumbs. Store this in an airtight container and put in the refrigerator. By Megan on August 26, 2016 Breakfast, Recipes.